Regent has 30 years of combined trading, engineering and manufacturing experience. We work closely with architects to interpret and implement their designs; from the conceptual stage through to project realisation. We have been key to the successful and timely delivery of a number of standout designs and value the importance of strong working relationships with specifiers, artisans and creators. 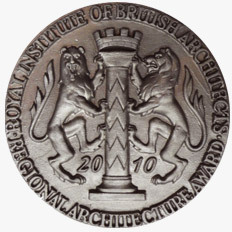 Regent is the only company in its field in the United Kingdom to have won a RIBA award for its work.